As each month approaches in 2012, I will be introducing a new kit that represents that month’s birthstone, as well as the birth flower. This is the inaugural kit. 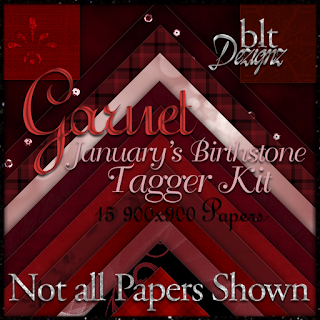 January’s birthstone is the Garnet. The birth month flower is the Carnation. Be sure and check back each month! These will be available in Tagger Size only. All pages are sized at 900x900; 300 dpi.